There are many myths that constantly circulate through the short sale world and today we’re going to dispel one of them. There’s one thing to keep in mind though and that is if you ever have questions about short sales or are unsure if the information you are hearing about short sales is true or not, it’s always best to contact a Denver area short sale expert to clear things up. One of the most common short sale myths is that you have to be unemployed and have a low income in order to do a short sale. This couldn’t be further from the truth. One of the most common questions short sale experts in the Denver area get asked is whether or not an individual can short sale if they are employed and earning a decent income. There are homeowners throughout the country that short sale their properties every single day that are employed and make good money. Yes, a vast majority of the time you do have to have some type of hardship in order for the bank to approve your short sale, however it doesn’t always have to be a financial hardship or loss of your job. Some of the various hardships other than job loss are divorce, job relocation, increase in expenses or illness in the family. 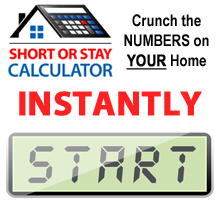 If you aren’t having trouble paying your mortgage but still need to get out of your home for one reason or another, contact a Denver short sale expert for more information on getting your short sale started. There are many different reasons as to why a homeowner needs to short sale their property; being unemployed isn’t the only reason. If it were, short selling your home wouldn’t be a very successful alternative to foreclosure; thankfully, this isn’t the case.